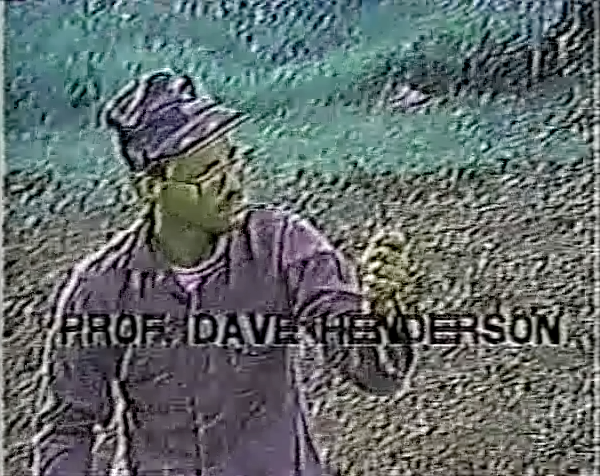 Dayton has had its fair share of Horror Hosts with Dr. 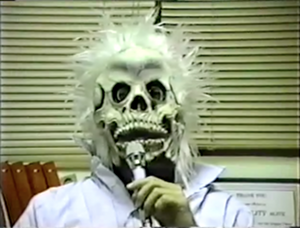 Creep of Shock Theater on Channel 22 being the most well known and loved. After Dr. 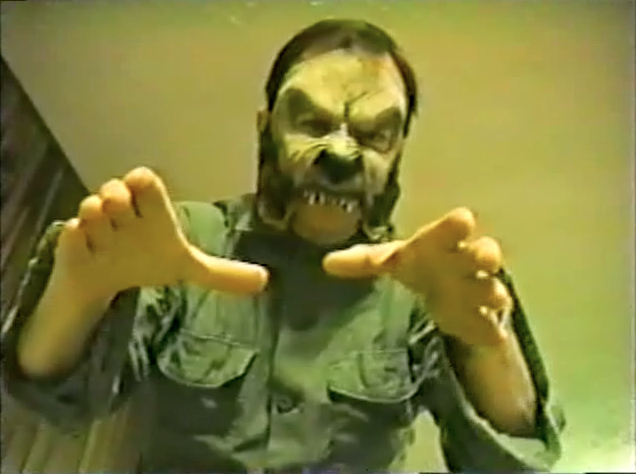 Creep went off the air in 1985, the Horror Hosting void was filled years later thanks to public access and Hosts like A. Ghastlee Ghoul, Dr. Freak, Iris & Retina, Baron Von Porkchop, Commandant Gore and The Creeper who entertained and brought back the local host to TV airwaves. Growing up I have spent lots of late nights and early weekend afternoons watching Horror Hosts on the TV, and one that in my opinion has been way over looked here in the Dayton, Ohio area is The Creeper who hosted a great little show called “Moraine Playhouse Theater” that provided so many moments of entertainment for me and my brother Bryan. 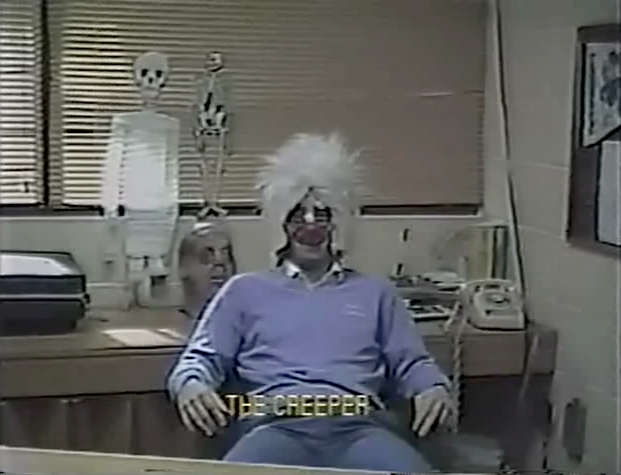 Thinking about it, I think The Creeper and A. Ghastlee Ghoul both started their Horror Host careers at the same time in 1989, making them both the official first Dayton, Ohio Horror Hosts to fill the void of the legend Dr. Creep! 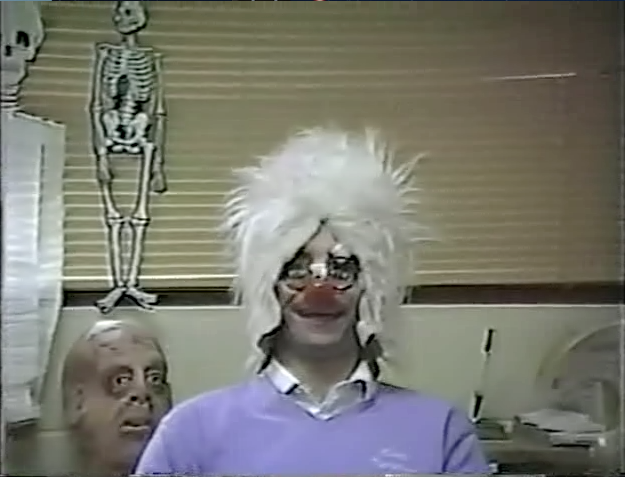 So it’s with complete honor that I present to you again, and for some the first time, a host who brought so much joy to my youth and one that should be remembered for all he has done for not only Public Access TV but also the city of Moraine. So welcome to this long overdue update as I bring to you Horror Host Icon: The Creeper! 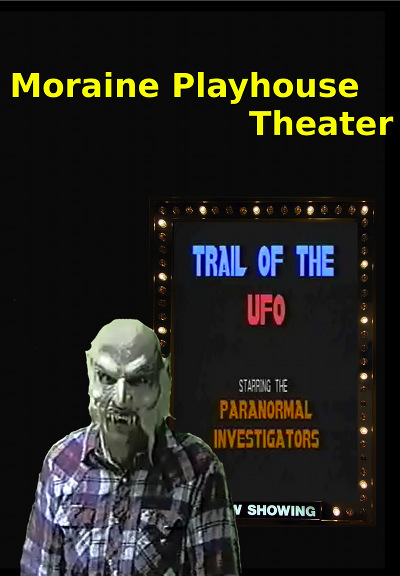 The Creeper was a host who enjoyed hosting locally shot Horror and Science Fiction no budget films on his show called Moraine Playhouse Theater that started in 1989 and aired on the public access stations MVCC and later DATV. No one is sure what The Creeper’s backstory is or why he loves to show cheesy locally shot movies but did know that he as well thought the armature films were stinkers but highly enjoyable. Over the shows run The Creeper had two looks that stuck out the most with me, with one being eye glasses with huge fake eyes, a red nose and a Halloween mask worn on the top of his head and backwards given the appearance that he had white hair and the more used and normal look for the later years of the show was a mask that was bald on top and white hair on the sides with an older vampire appearance that showcased wicked long teeth at the top of his mouth. But The Creeper’s appearance changed many times turning his run on public access even wearing a Jason Voorhees Hockey Mask! The Creeper just like Dr. Creep was known for his sinister high-pitched laugh that he would deliver through out the episode and would be something viewers would look forward to hearing. The Creeper’s style for hosting Moraine Playhouse Theater was that he would open and close the movie and would tell you at the start the films title and who was acting in it, while at the end he would most the time promote the film some more with also at times telling us about the next film to be shown. But while in most cases having a Horror Host only host during the opening and closing would not fair well with viewers it worked for The Creeper as Moraine Playhouse Theater was about an hour long and never felt like it over stayed it’s welcome with the armature cheesy film. One things for sure those who grew up watching The Creeper on Moraine Playhouse Theater understand that this nasally talking, high pitched laughing Horror Host was truly a great way to fill the void of Dr. 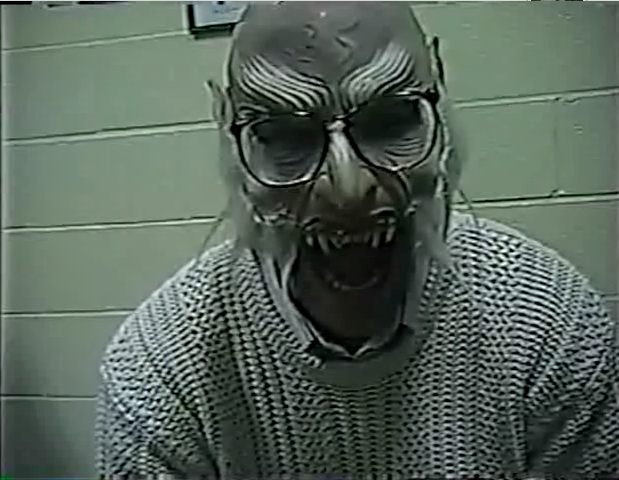 Creep as our local Dayton, Ohio Host and made No Budget Horror films cool to watch and make. 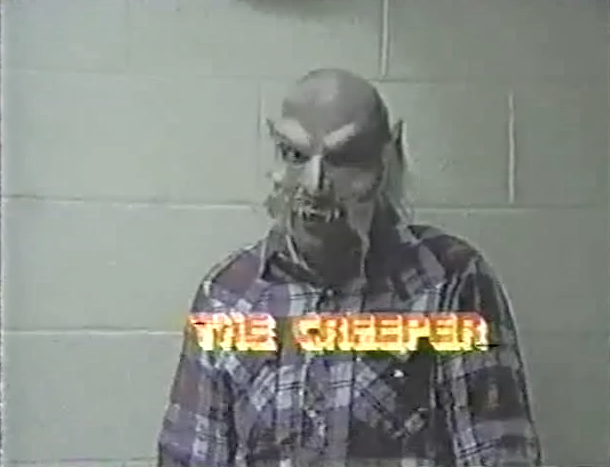 The Creeper was played by Dave Miller who at the time was working for the City of Moraine in the Parks and Recreation department and even as of this update he is still working for the city. 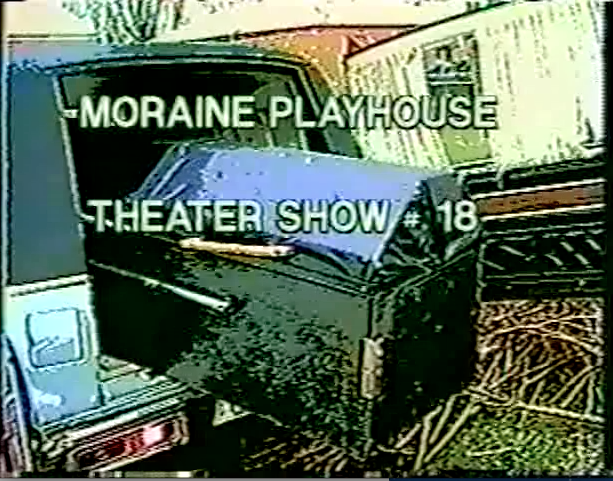 He started his public access career in 1979 with the show “Moraine Recreation Update” and from there he and his friends would later go on to make their own No Budget Films and created “Moraine Playhouse Theater” as an outlet to show the films as well and encourage fellow Ohio viewers to write, produce and direct their own films with a chance to be shown on Moraine Playhouse Theater or better yet able to help on one of their films. For his time on Public Access Dave Miller has won many awards including an Arnie and as well is respected for all the stuff he has done for the city of Moraine. 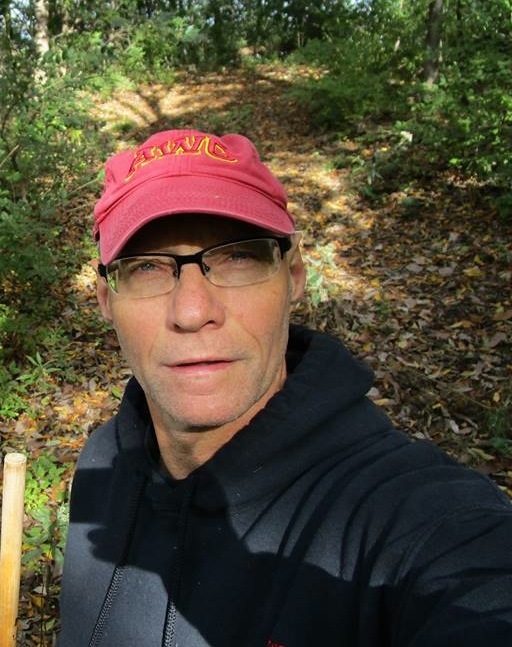 Dave also in his free time likes to hike looking for history and also enjoys going on ghost hunting adventures! Dave Miller is a man who takes pride in his city, state, family and making entertainment! I want to also note that he had a show called “Moraine Teen Theater” that was much like Moraine Playhouse but the films were done my teenagers! The Creeper never had any real sidekicks on his show but he did have many recurring characters in the movies he would show like the Paranormal Investigators, who were a group of scientists who would look into legends and cryptozoology creatures. They were very popular amongst the viewers and I can remember talking to kids at school about them as well as my brother and me would try and predict what other monsters they could have them hunt from Bigfoot all the way to Frankenstein’s Monster in future movies. We also had Deputy Cheeks, Sheriff Cobb and Billy Joe Black Bear all who lived in Colorado and hated the masked killer Jason Myers. But hands down the most popular character and the one that almost anyone who watched this show remembers is the hockey mask wearing supernatural serial killer named Jason Meyers who starred in four films that aired on the show and even was interviewed by The Creeper on one episode of the show! 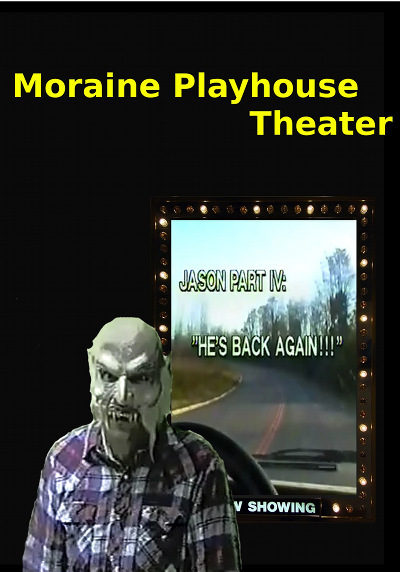 So while no characters shared the hosting duties with The Creeper on Moraine Playhouse Theater, the show did have many of the returning characters in the no budget movies feel like a part of the shows lore because they where! Below is a picture of the Paranormal Investigators as well as Jason Meyers all whom made this Horror Host show even more special for us the viewers. While the Jason Myers Friday The 13th knockoff films are some of the most iconic flicks that The Creeper had hosted one other has always stuck out to me! Moraine Playhouse Theater episode 7 were he hosted the film “Trail Of The Werewolf” that was an adventure of the Paranormal Investigators who travel to Minnesota in order to stop a killer werewolf who has been making short work of the locals. 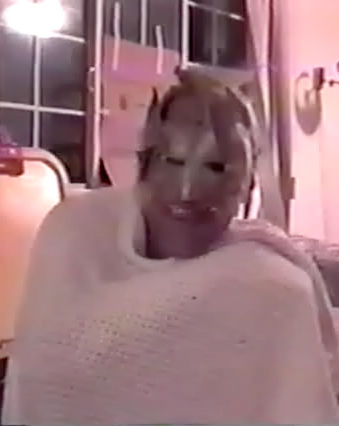 The Creeper segments were nothing to special and had him wearing a hockey mask in what appears to be a kitchen and while he is as entertaining as ever it was the over all cheesiness of the film that stuck out the most to me. 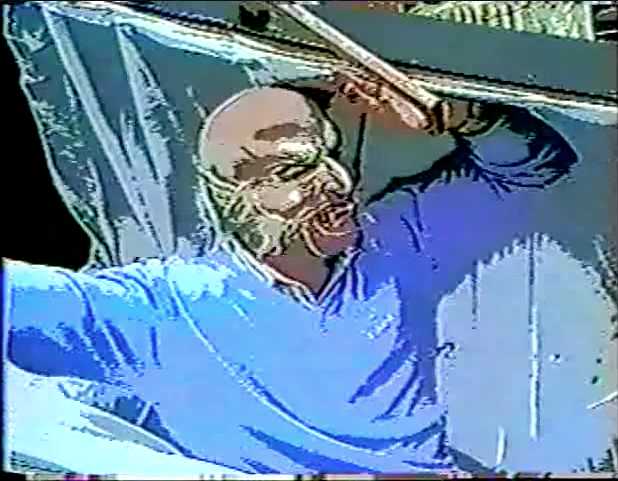 The werewolf was just a man in a half faced werewolf Halloween mask, but to be honest I think that’s what I love about it the most. The effects of the kills was pure backyard stuff and tame and the soundtrack like most of the movies made for this show was taken from Night Of The Living Dead. My favorite scene from the film is when The Werewolf attacks a gravedigger in the cemetery, so fun and holds the true spirit of independent no budget cinema. You see I have always been a fan of werewolves and as you long time readers and friends know my first ever original shot on video film was “Werewolf Of Ohio” and with Trail Of The Werewolf being made years before it, I wonder if maybe this film and episode of Moraine Playhouse Theater helped inspire my cult shot on video film, it’s very possible as I know that this show was my introduction to armature local shot on video films. 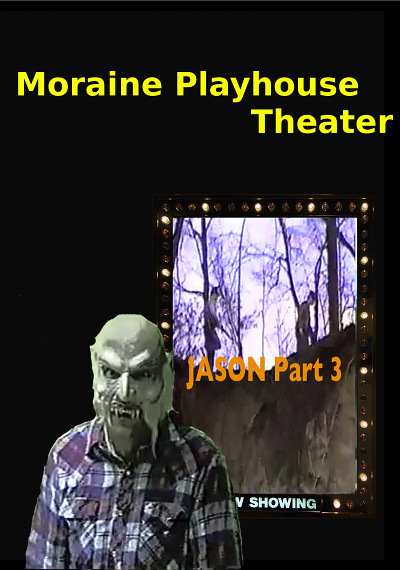 The copy I got of this episode came from the master tapes of The Creeper and while it has glitches I still found it to be as entertaining as it was in the past and this could be my favorite film of the series with my favorite host segments being on Moraine Playhouse Theater episode 4 aka the episode that shows Jason Still Lives Part 2: The Ski Resort Murders. So I want to send out a big thanks to The Creeper and the cast of crew that made this show and its movies as they helped shape this aging Monster Kid into what he is today. 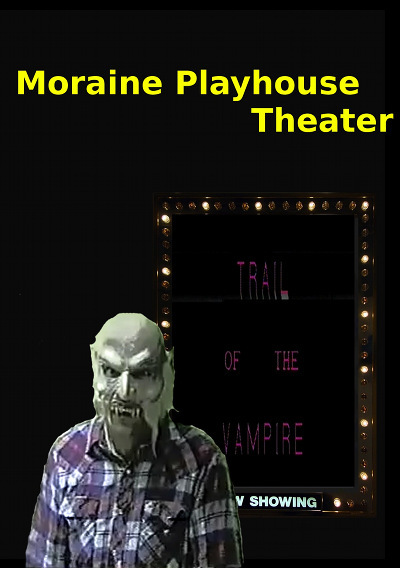 Matt: Welcome to Rotten Ink Creeper, and I guess my first question for you is when did you decide to become a Horror Host and unleash Moraine Playhouse Theater onto the viewers of MVCC Public Access? Creeper: Growing up I enjoyed watching Boris Karloff, Lon Chaney Jr. and Christopher Lee horror movies and from that interest I purchased a super 8 movie camera. My friends and I in high school began making silent movies in 1973 and trying to add sound to them with a tape recorder. In 1979 working for the City of Moraine I was introduced to MVCC and began filming, writing, editing and hosting Moraine Parks & Recreation shows for the municipal access channel. 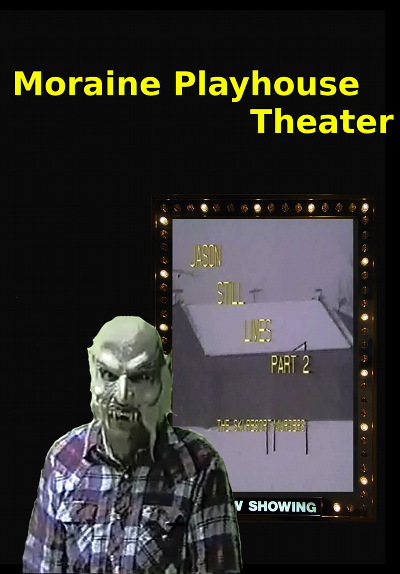 In the late 1980’s I began the Moraine Playhouse Theater shows hosted by The Creeper. We wanted to write, act in and show our movies on TV and thought that some kind of horror host character would work good to introduce and make fun of our own movies. Matt: So what if any Horror Hosts inspired you to become a host yourself? Creeper: Growing up before cable TV my television at home could only pick up four local channels and if the weather was good I could get one Cincinnati channel and one Indianapolis channel. I watched Dr. Creep in Dayton, the Cool Ghoul in Cincinnati and Sammy Terry out of Indianapolis. They were funny and played all the Universal classic monster movies. Matt: So over the years us viewers always wondered why you changed your appearance so much, was it to keep us guessing at what was next from you? Creeper: I really didn’t want to change the appearance of The Creeper. I had a creepy looking half ghoul/ half old man mask that was perfect for The Creeper. 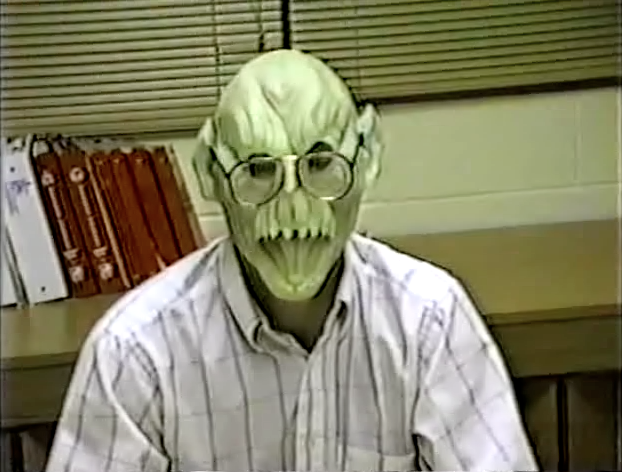 But I used it every year for Moraine’s haunted house attraction (which became Slash Moraine) which we ran three or four weekends every October for Moraine Parks & Recreation. So eventually the mask wore out. 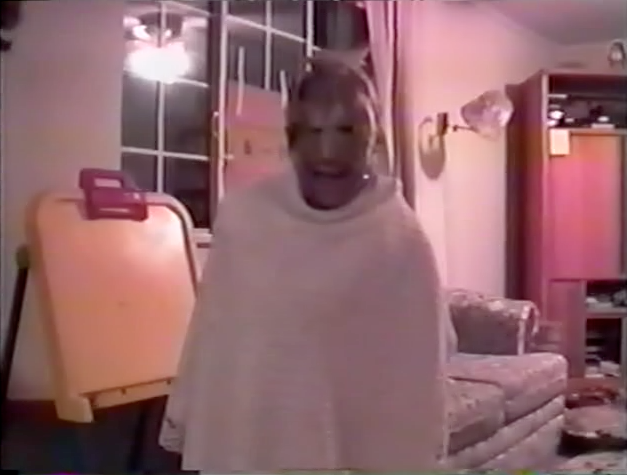 So in some Playhouse Theaters I grabbed whatever mask was handy, one time just grabbing the Jason hockey mask and wrapping myself in a bed sheet. It added to the cheesy-ness of our productions. 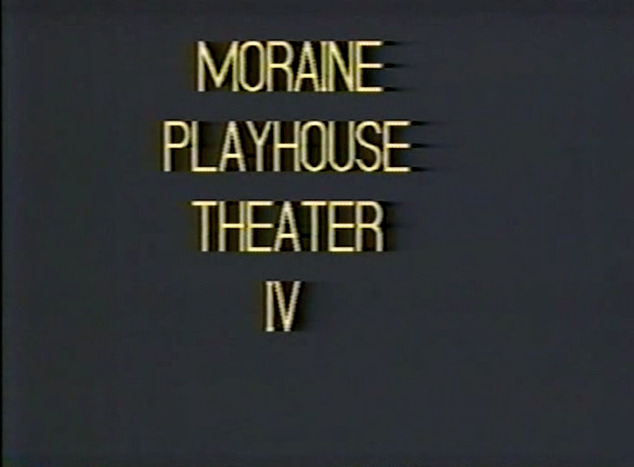 Matt: Your show Moraine Playhouse Theater has had many fan favorite episodes, but what is your favorite episode? Creeper: We began in 1989 and through 1999 we had over a dozen shows. Among them we had four movies centered around the “Jason” character, one movie where we battled a werewolf, another movie aliens and UFO’s. But my favorite movie was when the Paranormal Investigators battled a vampire in “Trail of the Vampire”. It was classic poor acting, cheesy special effects, but a good story line which always keeps us laughing every time we watch it. My second favorite is “Cops & Robbers” (we spent a lot of time on that creative title didn’t we?) which is a fast paced police tale in which the detective’s are on the trail of a criminal genius named “The Viper”. Depending on the availability or lack of availability of the person playing the Viper, if you look real close sometimes the Viper has a full head of hair, sometimes he is going bald. Matt: The final question that is on all the minds of us who grew up watching your show is will their ever be new episodes and will we ever see “Trail Of The Zombie” the lost adventure of The Paranormal Investigators? Creeper: I am going to say yes you will see it by years end. I need to learn digital editing at MVCC because editing and creating the final product is the most fun aspect of moviemaking to me. We have a zombie footage scene that we filmed in back in 1991 and have filmed scenes for this movie at least four or five other years. I guess it is time to try to come up with a plot to tie them all together (if that is even possible) and finish filming this epic movie. And yes, The Creeper will host the show and I am sure he will mock the script and the poor acting. Matt: Thanks for all these wonderful answers Creeper! WOW! That’s fantastic news as it would be great to have another Dayton, Ohio Horror Host active to go alongside Baron Von Porkchop. And with rumors of a new episodes by Iris & Retina of “Mondo Smash A’ Go-Go” being in the works, Dayton might just become a hot bed for Horror Hosts again! I want to thank The Creeper for taking time away from his no budget films to answer these questions for me and my readers as it’s always fun to chat with a Host! So we are now at the part of this Horror Host Icon review where we take a look at the episodes I have on DVD-R. I want to thank Andy Copp, who, a long time ago for my birthday, got me a copy of Episode 4. Also, a big thank you to Dave Miller and the staff of MVCC who got me all the remaining episodes. 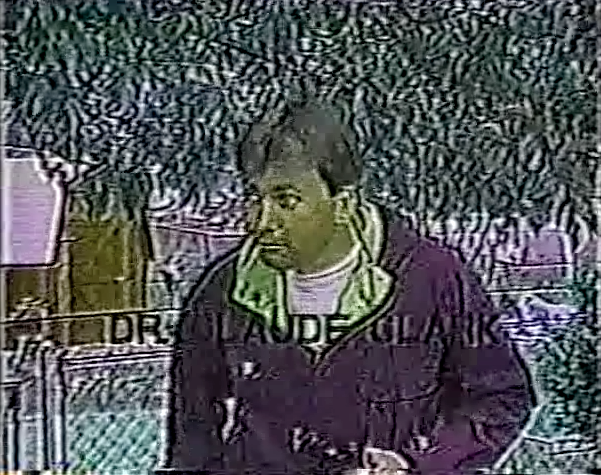 Starring – Tim Clark & Dave Miller Not Rated 199? Host: The Creeper, wearing a skull mask, introduces the 6th episode of the series and hypes up both films that will be shown! The first is called “Cowboy And Indians” and acts as the warm up film as it’s a vintage 1970’s super 8 film. After the first film, The Creeper is wearing a goblin Halloween mask and explains that he will be going Trick Or Treating and then introduces the second film, a detective themed flick. At the end of the show, The Creeper wishes everyone a Happy Halloween and tells us about the next film that would appear on the show. 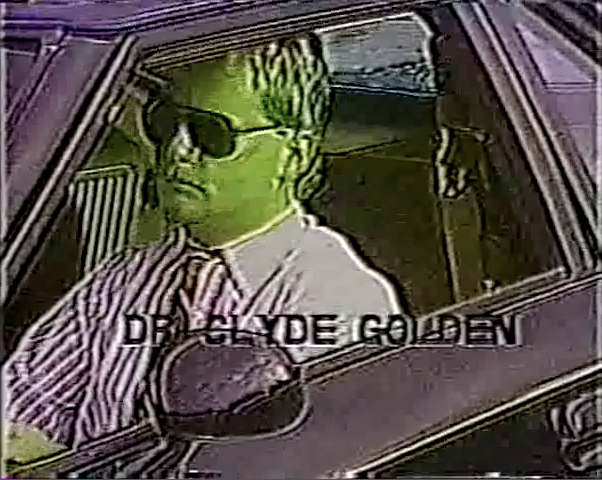 Movie: Jack Hammer and Joe Monday are two good detectives who are in the big city and must try to end the crime wave of the evil masked crime lord, The Viper, and his sinister henchmen! 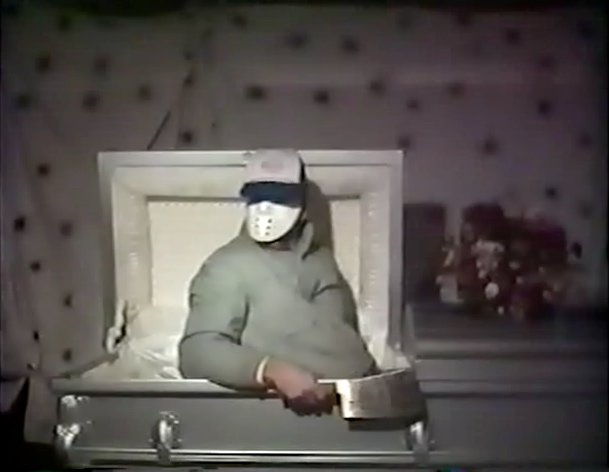 Host: The Creeper comes out of a coffin and informs us that the night’s film is inspired by the Friday The 13th film series and will showcase the talents of many of Moraine, Ohio’s top armature actors. At the end of the show, The Creeper is drinking blood and introduces his son The Leper who is over 200 years old and briefly interviews him and shows his son’s short film “Fleshy Headed Mutants 2051”! 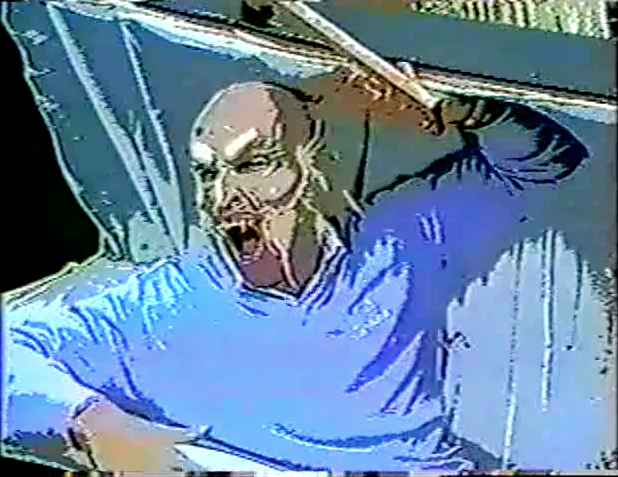 Movie: Jason Myers is a hockey masked killer on a cruise ship who comes ashore and starts killing people in Ohio! Can the local cops put a stop to his rampage or will this killer on the loose rid the town of its entire population? Starring – Scott Golden & Dave Miller Not Rated 199? Host: The Creeper is once more in a great mood as he brings us the second film in the Jason Myers series. He is so happy that he also gets to interview the killer live on the show! But joy turns to terror as the silent killing machine Jason does not take kindly to The Creeper’s judgment of him and attacks our host! Movie: Jason Myers is back and now in Colorado on a murdering spree during a blizzard that leaves Sheriff Cobb and Deputy Cheeks on the hunt for the madman, all the while braving the cold and getting the help of a mountain man named Billy Joe Black Bear! In the end Jason has his final stand on a cliff that leaves the hockey masked killer falling to his death…or does he? Host: The Creeper is walking down a hall and notices the viewers. He lets us know that today’s first film is a comedy short called “Junior: The Mean Little Boy,” changing up the pace from horror to silly comedy. The Creeper is now in master control of a TV station and tells us that today’s film was requested by fans and that it took two years to complete! But sadly this episode is not complete and is not only missing the end of the movie, but also the end of The Creepers closing segment. Movie: Deputy Bud Cheeks and Sheriff Cobb are upset when the body of Jason is missing after falling off the cliff at the end of the second Jason film. They go back to the scene of the crime and find that the killer could be alive still! After a phony press conference, Cobb and Cheek know that they must really stop the killer once and for all. Now Jason Myers is loose again and starting his killing spree on all those who get in his wicked path for revenge, but this time in Chicago. So our Colorado law enforcement team of Cheeks, Cobb and Billy Joe Black Bear comes to Chi-Town to save face for lying. Host: The Creeper is in a living room, covered with a blanket and introduces the day’s film, the fourth in the chilling Jason Myers series. Our host informs us that this film was 8 years in the making. He also informs us that this is the show’s Halloween episode and ushers us into the film. Movie: Jason Meyers is brought back to life at his funeral after a relative of one of his victims breaks into the funeral home and brings the killer back to life by accident. Deputy Bud Cheeks is once more on the hunt to bring down Jason and tries to get Billy Joe Black Bear to help him on the case again but instead must go to Chicago alone to bring him down. Can the world’s favorite goofy deputy do it? Host: The Creeper is chilling in his office and shares a short film called “The Return Of The Vampire” and then chats about aliens & UFO’s and the new adventure of The Paranormal Investigators who star in the day’s film. The Creeper ends the show wearing a tux and thanks us for watching both films and dares us to join him for the next episode. Movie: The Paranormal Investigators are back and this time are on the hunt for a UFO that has been tormenting a small town. When they themselves are abducted and wake up with missing hours, they wind up in a farmhouse with an alien outside with a message for NASA and the human race. Starring – Dave Miller & Tim Clark Not Rated 199? Host: The Creeper brags about how his show won an Arnie Award, meaning that they are the best of Public Access! He then informs us that this is the first in a series featuring The Paranormal Investigators that will always be on the trail of some sort of monster! Movie: The Paranormal Investigators are back and this time are on the hunt to stop a vampire outbreak that has lead to many deaths and points back to Count Dracula! Can our team put an end to his blood sucking curse? 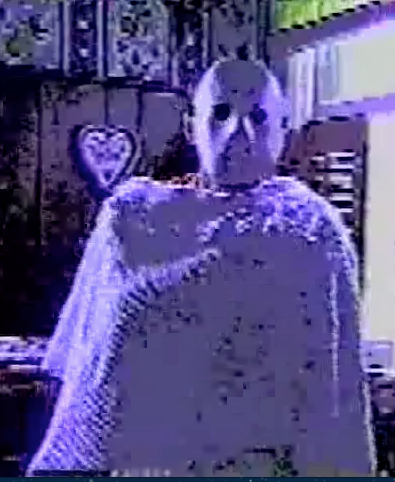 Host: The Creeper is now wearing a Hockey Mask and a blanket and once more is very hyped to bring you the best of the worst of Moraine shot on video horror and ushers us with glee into the day’s movie. After the first movie, The Creeper brags about how bad the films he shows are but also delivers another short film for us to enjoy called “Janitor Man”! 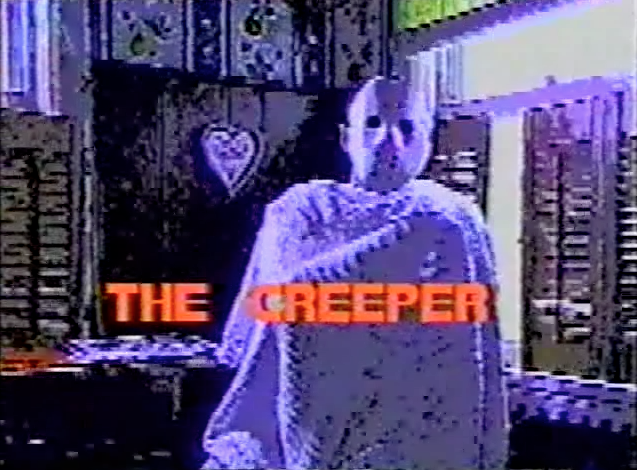 Once the film’s over, The Creeper wakes up from a nap and closes the show. Movie: Harry is a wildman who is wandering around the town and at night, during the full moon, is a werewolf! 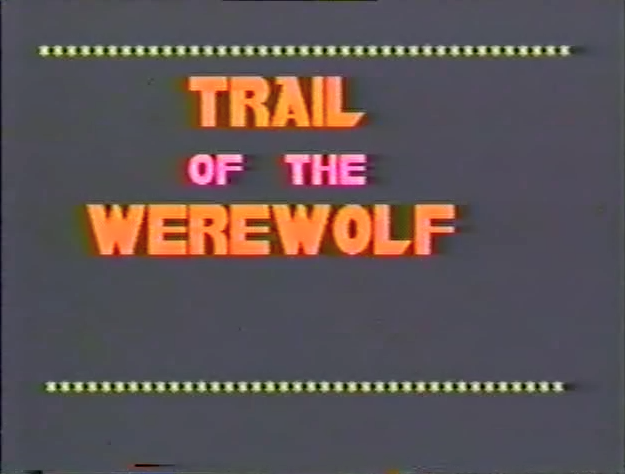 But on the case once more are the legendary Paranormal Investigators who are going to stop the werewolf’s rampage! The Creeper and Moraine Playhouse Theater were truly staples of my childhood viewing as he and the cheap movies he showed always brightened my day. I can remember watching his show in Waynesville and when traveling with my parents and brother to Kettering to visit my grandparents, talking with my brother about the show. 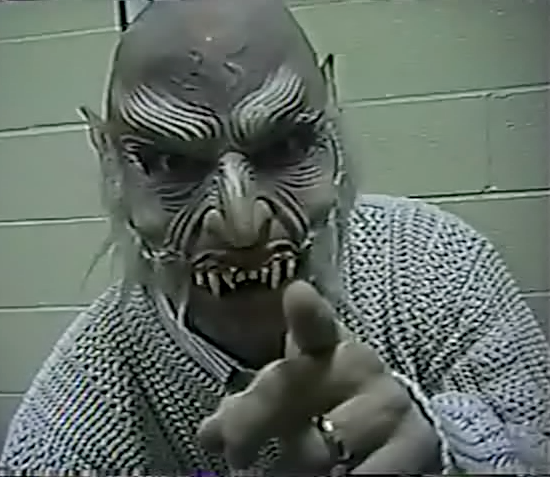 So I want to say a truly big THANK YOU to The Creeper for all the years of public access entertainment he has delivered, and I for one think he should be in the Horror Host Hall Of Fame as he helped inspire me as well as other creative people in the Dayton area. For our next update, we are going to walk away from the world of Horror Hosts and into another chilling “From Horror Movie To Horror Comic” update about the 2014 film I, Frankenstein! So until next time, watch a Horror film or two and as always support your local Horror Host! See you next update for a shocking good time with Frankenstein’s Monster known as Adam.